Six Opera Festivals to enjoy this summer! Enjoy meeting others in Rochester's opera community and contributing to the availability of opera activities by volunteering for the Opera Guild! Learning a small job or part of a larger one will pay off in numerous ways for anyone who wants to participate. Currently there are two jobs posted: Event Host or Hostess, Mail & Database Assistant. From your Opera Guild: Several interesting activities this past month. Recently the Gmail User Interface changed, with the result that your new issues land in the Tab labeled "Promotions." If you wish to redirect your Viva Voce subscription to land in your "Primary" Tab, please Click Here and follow the instructions. Two fairies grant the wish of the King and Queen of Venice for a child by giving them a magical plant that sprouts them an heir. They are repulsed, however, by the thought of having a plant-boy as their son. The boy lives a lonely life in the royal garden, until one day he hears that there is a little girl - very much like him - living in the Witch's Grand Palace. He sets off on a wild and whimsical adventure, narrowly escaping captors, fleeing monsters, and ultimately finding a friend. Glass brings this story of adventure and friendship to life through inventive songs and exhilarating dances. 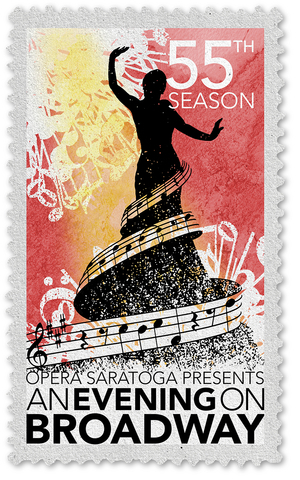 Single tickets from $50 (for An Evening on Broadway see Saratoga Website). Tickets $42 or your evening gate pass. Verdi's La Traviata has the lyric beauty, the dramatic heft, the love, the passion, and the anger - all those big human emotions that opera can uniquely capture. Tickets required. Reserved seating, $52, $42, $15, Youth, $10. Comic powerhouses Kevin Burdette and Daniel Belcher in Gilbert and Sullivan's zany operetta about forbidden flirtation, preposterous plots, and governmental gaffs. Ned Canty's modern manga-infused production received rave reviews in St. Louis and Memphis. With its references to Japanese anime, video games, Elvis, Hello Kitty and Godzilla, The Mikado is sure to delight audiences of all ages. Tickets at no additional cost with evening or seasonal gate pass. Abigail Fischer sings the part of 19th-century Swiss adventuress Isabelle Eberhardt, who traveled alone to North Africa, where she dressed as a man, joined an all-male Sufi sect, married an Algerian soldier, and was drowned in a flash flood at the age of 27. Fragments of Isabelle's writing and diaries are woven into this dreamlike opera by Missy Mazzoli and Royce Vavrek, two of the most prolific and exciting writers of their generation. This uniquely theatrical performance features Abigail Fischer and the NOW Ensemble, for whom the opera was composed, and includes original film by Stephen Taylor projected above the performers. Ticket Office: Tel (716) 357-6250 or chqtickets.com; call for parking fees and details. Full season tickets on sale now at 15% discount over single tickets. 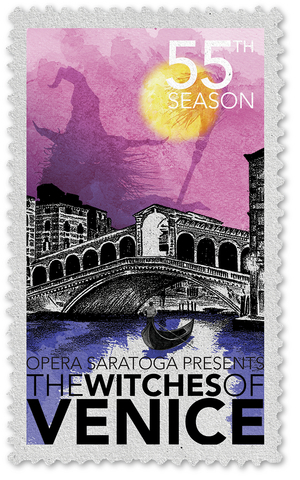 Call the box office at (518) 532-7875 or visit www.seaglecolony.org for information. The Seagle Colony is one of the oldest organizations (101 years) that has helped young singers to develop their voices and find their repertoire. This is a wonderful vacation place where people with love for opera can discover young singers building their careers. One of the most beloved operettas of Johann Strauss, Jr., its beautiful music and comic situations add up to wonderful entertainment. 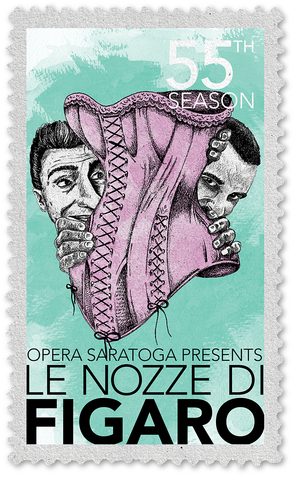 This production is sung in English at the Smith Opera House, 82 Seneca St., Geneva, NY. The Geneva Light Opera is sponsored by American Landmark Festival. Tickets at thesmith.org Tel: (315) 781-5483. The Copy Shop, Seneca Falls, and Mobile Music, Canandaigua. Tickets at FingerLakesOpera.com, (585) 245-5650 Adults $ 75 Red Carpet seating, $50 Premium, $40 General, Students/Faculty/Staff $30 Premium/General. The Opera Guild of Rochester will coordinate a trip to La Traviata. 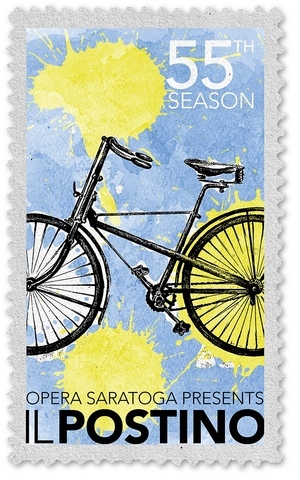 It includes tickets and dinner, but participants are responsible for their own transportation. Carpooling is recommended and the trip host might be able to coordinate carpooling arrangements. To see the trip flyer Click Here. The Guild organizes informal group trips to the Metropolitan Opera in New York City. The Guild will buy tickets and make group hotel and restaurant reservations. Participants are responsible for their own travel arrangements. You need not attend all three operas or join the group for meals. With a star-studded cast: Nina Stemme, (Isolde), Stuart Skelton (Tristan), Ekaterina Gubanova (Brangäne), Evgeny Nikitin (Kurwenal), and René Pape (King Marke). Conductor: Sir Simon Rattle. With Marina Rebeka (Mathilde), Gerald Finley (William Tell), Janai Brugger (Jemmy), Marianna Pizzolato (Hedwige), Bryan Hymel (Arnold), and Marco Spotti (Walter Fürst). Conductor: Fabio Luisi. Rossini's epic telling of the William Tell fable returns to the Met stage after an absence of more than 80 years. Gerald Finley sings one of his signature roles as William Tell, the revolutionary on a quest for freedom. With Hibla Gerzmava (Donna Anna), Mailin Bystrom (Donna Elvira), Serena Malfi (Zerlina), Rolando Villazón (Don Ottavio), Simon Keenlyside (Don Giovanni), Adam Plachetka (Leporello), Matthew Rose (Masetto), and Kwangchul Youn (Commendatore). Conductor: Fabio Luisi. See Met HD Season, below, for links to opera casts and descriptions. Tristan und Isolde opens the Met season in a new production by Mariusz Trelinski (the director responsible for last season's double bill of Iolanta and Bluebeard's Castle), and will be well served by a cast of outstanding Wagnerians: Nina Stemme as Isolde, Stuart Skelton as Tristan, Ekaterina Gubanova as Brangäne, and René Pape as King Marke, with Sir Simon Rattle conducting, in one of his rare appearances at the Met. Simon Keenlyside will perform the role of the title hero, who goes to hell in a dazzling coup de théâtre. The ensemble of great Mozartean singers includes Hibla Gerzmava, Malin Byström, Serena Malfi, Rolando Villazón, Adam Plachetka, Matthew Rose, and Kwangchul Youn. Conducted by Fabio Luisi. Finnish composer Kaija Saariaho's breakthrough opera was described by the New York Times as "transfixing...a lushly beautiful score." Commissioned by the Salzburg Festival, where it was first seen in 2000, it will now finally have its Metropolitan Opera premiere in a dazzling new production by Robert Lepage, featuring glimmering ribbons of LED lights that extend across the length of the stage and over the orchestra pit. Eric Owens is the knight on a quest of love and Susanna Phillips is his lover on the other side of the sea. Conductor Susanna Mälkki makes her Met debut. Sonya Yoncheva sings one of opera's most beloved heroines, the tragic courtesan Violetta, a role in which she triumphed on the Met stage in 2015, opposite Michael Fabiano as her lover, Alfredo, and Thomas Hampson as his father, Germont. Carmen Giannattasio sings later performances of the title role opposite Atalla Ayan, with the great Plácido Domingo as Germont. Nicola Luisotti conducts. In his variation of the traditional Cinderella story, the wicked stepmother is replaced by a wicked stepfather, Don Magnifico. The Fairy Godmother is replaced by Alidoro, a philosopher and the Prince's tutor. Cinderella is identified not by her glass slipper but by her bracelet. 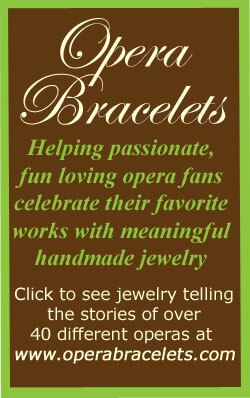 This section brings you articles written by anyone involved in opera, from impresarios, to singers, to fans. If you have seen a performance that you want to review, or have attended a class or workshop that you want to write about, or have a story or a review that would interest others, we encourage you to submit it to us and we will schedule it for inclusion. Please send your submissions to operaguildofrochester@gmail.com. We generally limit articles to a nominal 500 words. All submissions are subject to editorial review. 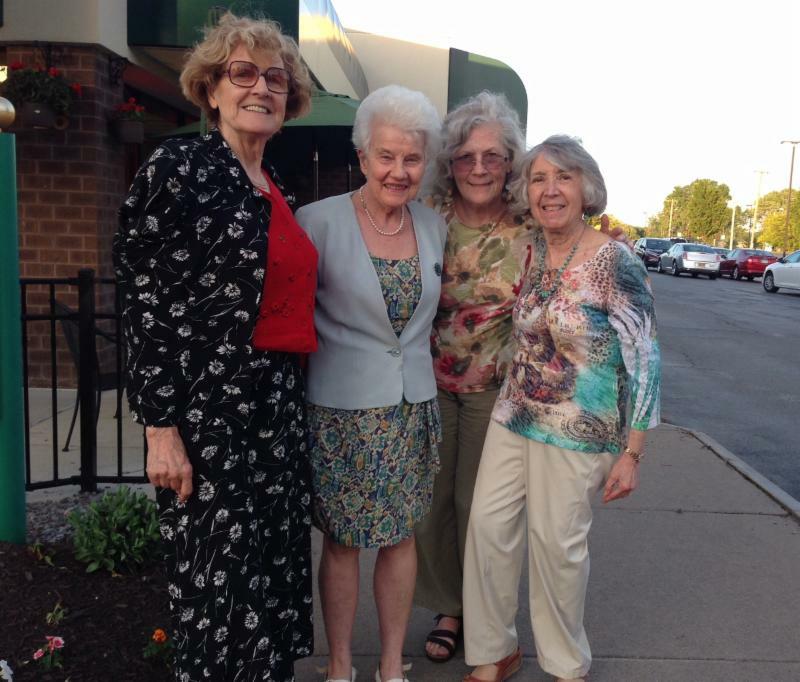 On Sunday, June 12, Agneta Borgstedt, Marcia Elwitt, Mona Miller, and Elisabeth Beumer from the Opera Guild of Rochester went to Buffalo's Shea's auditorium to view the premiere of the opera SHOT! Composed by Persis Vehar with a libretto by her daughter Gabrielle Vehar, the opera treats the assassination of President McKinley, an important event in Buffalo history. The stage scenery recreated 1901 Buffalo, where the shooting took place at the Pan- American Exposition. The libretto conveyed a sense of the times during the industrialization of the late 19th century: great wealth for a few people on the backs of the working class, which led to the development of an anarchist movement led by Emma Goldman. Many of the issues of that time are still of concern today, such as wealth inequality, gun control, and even acceptance of women's opinions. President William McKinley was shot by a disgruntled immigrant, Leon Czolgosz, sung by the tenor John Packard, who is well-known in both American and European opera houses. General Director of Nickel City Opera Valerian Ruminsky, bass, sang a strong President McKinley. His speech at the Pan-American Exposition and his death scene were impressive performances. Also beautifully sung was the aria by Mariateresa Magiano, a winner of the Metropolitan Opera National Council Auditions, as his loving heartbroken wife Ida. Her lament in the second scene of Act I was the musical high point of the opera. The rest of the music consisted of recitatives by individual singers and the chorus representing the bereaved citizens of Buffalo. The large, well-prepared orchestra was more effective in conveying the colors of the tonal music and expressing the feelings of the characters than the recitative, however. In her review, Mary Kunz Goldman of the Buffalo News opined that the opera could have been more effective if shortened, particularly the prison scene in the second act which consisted of Czolgosz's dream about Emma Goldman's anarchist philosophy. The press scenes announcing the state of the President's health were repetitive and the part of the announcer of the Pan American Exposition could have been omitted. The well-done surtitles were absolutely necessary in the large Shea's auditorium. In future, presentations in smaller venues should be considered and would assist the voices. Despite any shortcomings, a modern, tonal opera about American history that includes issues of contemporary relevance is an exciting experience! Erik Oehler of RocStreams Company graciously produced a video of the May Opera Guild Donors' Recital. Part of this video is available for viewing from our Website. Just scroll down roughly 3/4 of the way to the bottom of the page and click on the video. For full discussion of the Annual Recital, see the June 2016 edition of Viva Voce. On Sunday June 20th the Opera Guild of Rochester's President Agneta Borgstedt and volunteers visited the St. John's Home, where Joe Heintzman, one of our longest supporters, now makes his home. After his retirement as a school teacher, Joe followed his passion for opera by attending all the opera tours, lectures and presentations in both Rochester and Buffalo. He never missed one of our annual recitals in May. This time the Annual Recital came to him. The recital, by bass Carl Dupont, was recorded on DVD pro-bono by Mr. Erik Oehler of the RocStreams Company, and was enjoyed by Joe's sister, Kathy, and his friends from the Guild, Joe Mancini, Lillian Bonanni, Rosalie Di Pasquale, and Elisabeth Beumer. On June 21st Agneta, Lillian and Rosalie celebrated the 101st birthday of Ettie Rubinstein who, with her late husband Phillip, was also a long-standing supporter of opera in Rochester. Ettie and friends enjoyed the company, the gifts, a great chocolate cake, and fresh strawberries. On Tuesday May 31rst, Agneta had a beautiful sunny day on which to celebrate her 85th birthday with friends from the Opera Guild. Marcia Elwitt drove the guild president, together with Carol Crocca, and Elisabeth Beumer, to the Shaw Festival at Niagara-on-the-Lake to see Bernard Shaw's play Mrs. Warren's Profession. The performance was excellent and the outing finished with a birthday dinner at Phillips' European Restaurant in Henrietta. Please consider the Opera Guild of Rochester among your charitable organizations for 2016. Donations to the Opera Guild of Rochester are fully tax deductible and donors will receive an invitation to the Annual Recital in May 2017, which is our gift to our donors, followed by dessert reception with the artists.